Other: CFLs, Water Filters, etc. …or follow TCE on Twitter! What to do with that old computer, VCR of PlayStation? You can’t toss ‘em in the trash because they contain toxic materials. The emerging solution is a simple but far-reaching concept: manufacturers should take ‘em back. When the producers are responsible for recycling, they have a powerful financial incentive to redesign products for easy recycling and a profit motive to phase out the use of toxic materials. Plus the government doesn’t have to pay for more recycling. This saves our tax dollars and encourages a more sustainable economy — all while helping you get rid of that old boom box. Learn more about Producer TakeBack Recycling here. Find an e-Steward location here. Good: Dell and Goodwill partner in Texas to offer free recycling for any brand of computer equipment at any Goodwill location. Learn more here. Although Dell has a strong policy against exporting e-waste, the company does not disclose its recycling partners — meaning we must take them at their word when they say they’re really recycling your equipment. Better: Thanks to state legislation passed in 2007, all computer makers selling products in Texas are now required to offer free recycling. Find a list of all manufacturer-based programs here. The problem is, very few of the manufacturers have adopted policies against sending e-waste overseas and none have committed to using only proven, responsible recyclers. To be 100% certain your computer will be recycled, find an e-Steward location here. Best: Does it still work? Extend its useful life, then, by donating it to someone who can use it. For instance, World Computer Exchange is a global education & environment nonprofit that helps connect youth in 67 developing countries to the skills, opportunities and understanding of the Internet while keeping working computers out of landfills. This group tests all equipment before sending it overseas, ensuring it won’t end up dumped, but not all similar groups take this protective step. In Houston, the organization Comp-U-Dopt takes yesterday’s computer and uses it for a child’s tomorrow. They provide computers and technology education to enthusiastic, motivated children who do not already have a computer in their home. 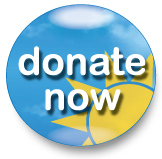 They encourage a donation of $5 per CPU or monitor to support this program. Another Houston non-profit, Techs & Trainers, uses your old computers to provide meaningful work for people with barriers to employment and IT equipment to those with special needs. Good: Best Buy is offers free recycling for any brand of TV, up to 32″. Learn more here. Some locations have accepted different equipment, so be sure to call your Best Buy location to confirm before taking in your electronics. Better: Thanks to state legislation passed in 2011, all TV makers selling products in Texas are now required to offer free recycling. Find a list of all manufacturer-based programs here. The problem is, not all of the manufacturers have adopted policies against sending e-waste overseas. To be 100% certain your computer will be recycled responsibly, find an e-Steward location here. Best: Does it still work? Extend its useful life, then, by donating it to someone who can use it. Think the DTV switch made it obsolete? Not so fast — you can get a digital converter box to keep your old analog TV working. Learn more here. Good: Perhaps the easiest option, all Fedex/Kinkos locations accept cell phones and PDAs for free recycling. Find a location here. Best: Because cell phones have more value than other e-waste, many non-profit organizations raise money through recycling programs. Here are a couple of examples, there are probably more in your community. Good: All Best Buy stores offer free recycling for just about anything electronic. Learn more here. Better: If it’s so old or bizarre that no manufacturer or retailer will take it off your hands, you need to find a responsible e-cycler. Caution: many so-called recyclers are actually exporting your electronics to be dumped overseas. That’s not recycling! Unfortunately, the only way to be 100% certain that your e-waste won’t end up dumped overseas is to take it to an e-Steward recycler. There are only a handful of these in Texas: Find an e-Steward location here. Best: Does it still work? Give it to someone who will extend its useful life. Just because it isn’t the newest coolest model doesn’t mean it’s junk. List it in the “free” section of Craigslist, or join your local “Freecycle” network. Freecycling matches people with extra stuff to people who need it: learn more here. Need to dispose of Mac G3, Epson 3000 printer, Microtek 5700 Scanner. Where can I take these in Dallas, TX? The Mac you can take to any Goodwill location. The printer and scanner you can take to any Best Buy store. Hope that helps, and happy recycling! I have tons of old floppy disks. Where can I take these? I believe Best Buy will recycle your old floppy disks for free. Give them a call to find out. Happy recycling! We need to responsibly dispose of a broken CyberHome DVD Player. Where in Temple, TX can that be done? Where do we responsibly dispose of a broken CyberHome DVD MP3 Player in Temple, TEXAS? I need to get rid of four non -working tvs of which 2 are huge and 1 huge working. .Will pay a resonable fee for removal. I am a 78 y/o unable to lift. Where can I dispose of old fax machines, printers etc? How do I dispose of a Sony 38″ inch tv? The tv is heavy and is 10 years old. Hope one of these works. where can I recycle a broken toaster. i live in georgetown tx? The Round Rock e-steward apparently doesn’t do business with individuals. Is there a local reliable (committed to responsible recycling) recycler who accepts obsolete remotes? You might try the nearest Best Buy store. They accept most old electronics for free recycling. I have a old 42′ flat screen Samsung television. It fell off the wall so it does not function properly, but we did not want to throw it in the garbage of course. We don’t know where to recycle it. I am sure the parts may be reusable; however, the closest Samsung drop off is several hours away in South Texas. Is it possible Goodwill can use it? This clearly shows that Samsung and other TV makers need to offer better recycling programs for Texans! In other states that have producer takeback recycling laws in place, there are many more drop-of locations available for everyone. I aolsluteby love you site…the concept…the deisgn…the initiatives – AWESOME!If there’s anything I can do to contribute/participate please let me know.thanks for all you do! We are a large company and have electron tubes to recycle. Where can we safely dispose of these. This item came out of computer monitors. Apparently they have some type of gas that you have to be careful with. Where can I recycle old CDs, diskettes, and Zip driver cartridges in the Dallas area? Easiest answer: Any Best Buy location. Happy recycling! Along with computer stuff, I have some children’s electronic toys and small electronics like a razor to dispose of. Also some rechargeable batteries that no longer work I live in Northwest Harris county (Houston area). Where can I take these? Along with computer stuff, I have some children’s electronic toys and small electronics like a razor to dispose of. Also some rechargeable batteries that no longer work I live in Northwest Harris county (Houston area). Where can I take these? Also please delete my previous post. I forgot to enable notifications on that one. Thank you very much. From your description, I’d say you can take all of it to the nearest Best Buy. They offer free recycling for electronics and rechargeable batteries. Thanks for keeping it out of our landfills! Great post! Been reading about disposing of my old computer. Thanks for the info! I have a 36″ RCA TV that is not working and need to dispose of it before I move. I live in Texas. Best Buy will not take it. It is too big and heavy for me to move by myself. RCA does list some information about recycling on its website: http://www.rca4tv.com/support/where_to_recycle.asp. This will mainly lead you to a mail-back program, unfortunately. Sometimes Goodwill is willing to arrange a pick-up service, so you might call them. It may help to know, where in TX do you live?